Ingram Micro, Inc. is a Fortune 100 company and the world’s largest IT distributor, providing sales, marketing and logistics services for the IT industry in all corners of the globe. Together, Scicom and Ingram partner to provide customers with a broad selection of solutions. Via its various divisions, Microsoft develops, manufactures, licenses, and supports a wide range of products and services predominantly related to computing. Scicom and Microsoft continually partner to deliver leading edge applications and data solutions for enterprise clients. A privately held application performance management (APM) and IT Operations Analytics (ITOA) company based in San Francisco. The company focuses on managing the performance and availability of applications across cloud computing environments as well as inside the data center. AppDynamics is the leader in application performance monitoring. ExtraHop is an enterprise technology company headquartered in Seattle, Washington. ExtraHop sells network appliances that perform real-time analysis of wire data for performance troubleshooting, security detection, optimization and tuning, and business analytics. DCM, one of the first Indian IT companies has a strong track record focusing on IT Infrastructure and affiliated services. DCM services and processes are aligned to help clients meet their business goals by freeing them to focus on their core business needs, while we manage their complex heterogeneous IT infrastructure. Windstream is a provider of voice and data network communications (broadband, VoIP, MPLS), and managed services (virtual servers, managed firewall, data storage, cloud-based voice, etc. ), to businesses in the United States. The company also offers residential broadband, phone and digital TV services to consumers within its coverage area. 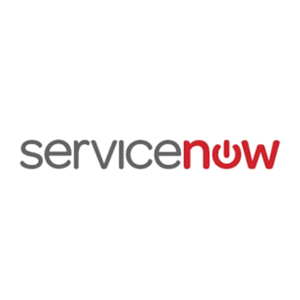 ServiceNow, Inc. is a cloud computing company headquartered in Santa Clara, California. It was founded in 2003 by Fred Luddy. ServiceNow is listed on the New York Stock Exchange and is a constituent of the Russell 1000 index. ServiceNow is the market leader for ITSM solutions with customer representation across all major industries and geographies.